With the Super Bowl just one week away, fans are clamoring to find out what big movies will be promoted during the commercial breaks. Disney will have a solid presence at the big game, with the studio expected to debut a new TV spot for the highly-anticipated Pixar sequel The Incredibles 2. Although, there is no officially confirmed yet. Perhaps the biggest question swirling around the game is whether or not the first Solo: A Star Wars Story footage will also debut next Sunday. It is believed that the studio will definitely be showcasing trailers for A Wrinkle In Time and one of Marvel's two highly-anticipated movies, Black Panther (February 16) or Avengers: Infinity War (May 4). A new report from Deadline reveals Disney has purchased a 30-second spot and a 45-second spot, but it isn't clear what movies will be showcased. If Disney does plunk down the big bucks for a Solo: A Star Wars Story trailer, it will be the first time the studio has done so to promote a Star Wars movie, since the studio bought LucasFilm for $4 billion in 2012. It's worth noting that Disney did use the 2016 Summer Olympics to help promote Rogue One: A Star Wars Story, and it's possible that the studio could use the 2018 Winter Olympics that start next month in Pyeongchang, South Korea, to debut the first footage from this Han Solo spin-off, but that has yet to be confirmed. While a Marvel movie TV spot has not yet been confirmed, the studio has used the Super Bowl to promote Guardians of the Galaxy Vol. 2 in 2017 and Captain America: Civil War in 2016. While Black Panther might be the obvious choice, it also may be too close to February 16 release to warrant spending big bucks, rumored to be more than the $5 million per 30-second ad price from last year's big game. Since there has already been a first trailer for Avengers: Infinity War released, it's possible that the studio could roll out some new footage during the big game, but it would be quite surprising if the studio used its Marvel spot for Ant-Man and the Wasp, since the studio has yet to release any footage from that movie yet. It's certainly possible that The Incredibles 2 could get one of the studio's Super Bowl spots, especially since Disney unveiled new characters and cast members from this sequel, and this footage could offer a first look at these characters in action. 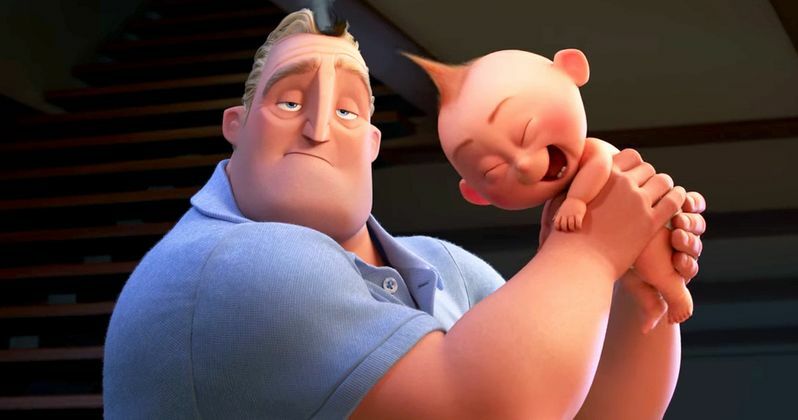 Disney debuted the first trailer for this animated sequel back in November, so the timing could definitely be right for the studio to release another glimpse at The Incredibles 2. The June 15, 2018 release date is also not too far away, especially since the first trailer was released already. Another possibility for one of the Super Bowl spots is the fantasy adventure A Wrinkle In Time, which is slated for release on March 9. As for the rest of the studios, it is believed that Netflix and Paramount will drop a trailer for the next entry in the Cloverfield franchise, entitled God Particle (April 20), while Universal is expected to showcase Jurassic World: Fallen Kingdom (June 22) and Skyscraper (July 13). Paramount will promote Mission: Impossible Fallout (July 27) and A Quiet Place (April 6), while Warner Bros., which traditionally sits out the big game, will continue the tradition this year, along with Sony Pictures and 20th Century Fox. Head on over to Deadline for their full report.